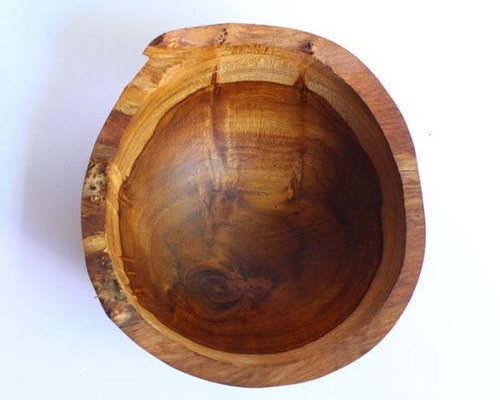 Tinuku ~ Bc5758 studio featuring bowls oval to expose natural sculptures teak root. 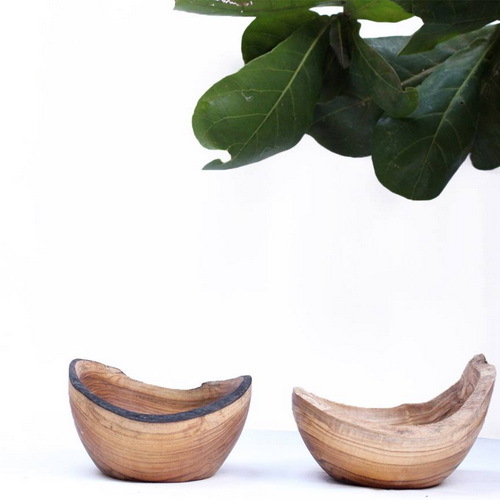 Studio based in Badung, Bali, attended works of cutlery and kitchenware by documenting natural processes at the root of tree. Beautiful wood carvings expose fiber texture and unique color directly from tree, looks more elegant and natural lifestyle standards. 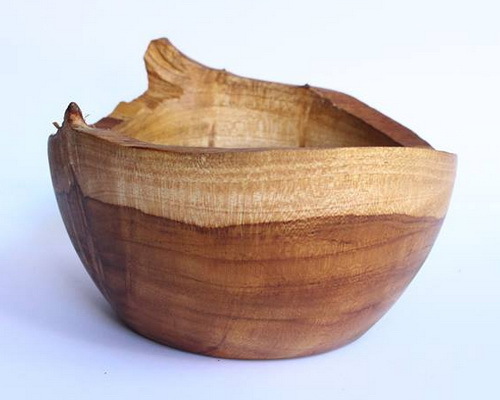 Bc5758 studio come up with designs for natural sculpture that presents work bowl oval natural fibers tree roots. 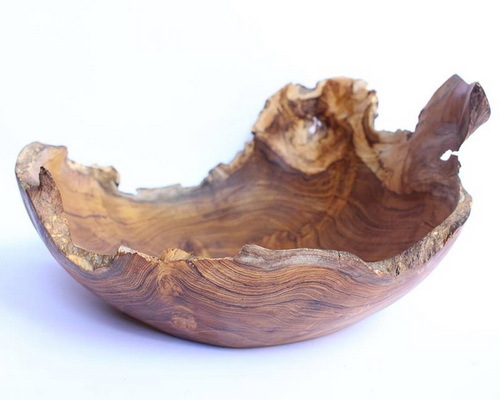 Although created by the needs owners of cafes, restaurants and hotels to meet quality standards in presentation of non-oxidants tableware, wood carving bowls works are also interesting for decoration collection. 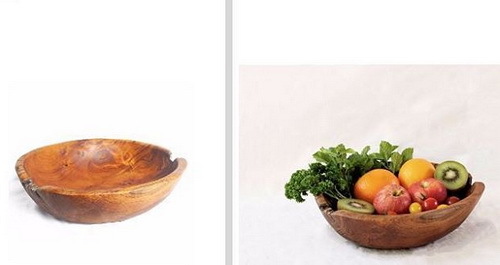 Handmade wooden cutlery is excellent choice rather than utensils made of glass, ceramic, plastic and metal. 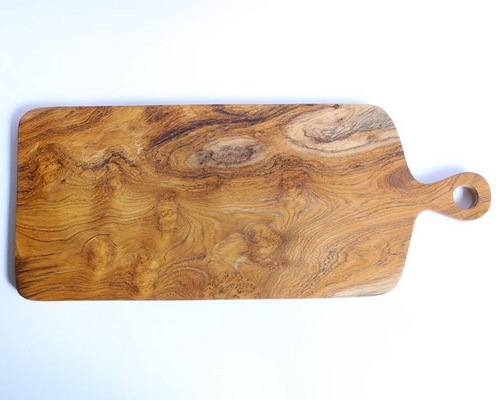 Compared to other materials, wood cutlery will not rust, durable and more healthy, although of course depend on type of wood used and how to care. Carving handmade products on dining table is not just about functional problems, but of course the quality work itself as art works. Skills basics timber implemented in material selection tree roots to rigorous treatment. Natural process occurs on roots when tree was alive intentionally exposed as strong accents in design. 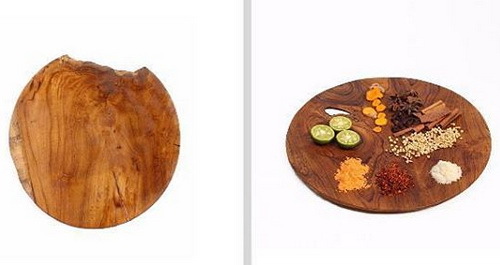 Plates and cutting board plates left hollow as documentation tree life history.